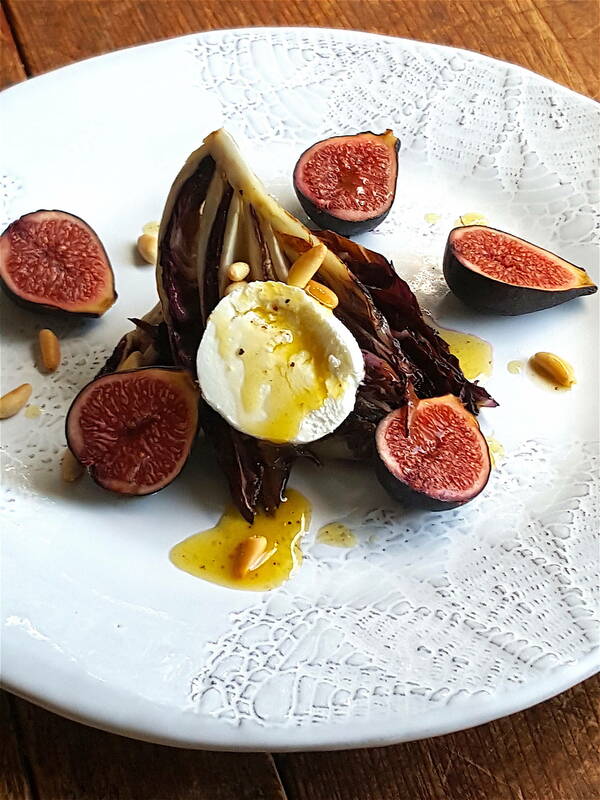 The sweetness of raspberry vinegar and ripe figs is the perfect foil to the bitter edge of radicchio. Creamy cheese and crunchy pine nuts makes another pleasant contrast. 1 Put a slick of oil in a small frying pan (skillet) and set it over medium heat. Add pine nuts and cook, stirring often, until lightly golden. Tip nuts onto a plate lined with baking (parchment) paper and sprinkle with salt. 2 Trim radicchio and cut into wedges. Heat 1 tablespoon olive oil in a medium frying pan (skillet) over medium heat. Add radicchio wedges and fry for a few minutes on each side, until starting to wilt and colour lightly. Transfer to serving plates. 3 Slice goat’s cheese into rounds with a hot knife (run your knife under really hot water, dry and slice, for each round; don’t worry if the cheese crumbles!). Whisk extra virgin olive oil, vinegar, mustard, salt and pepper together in a small bowl. 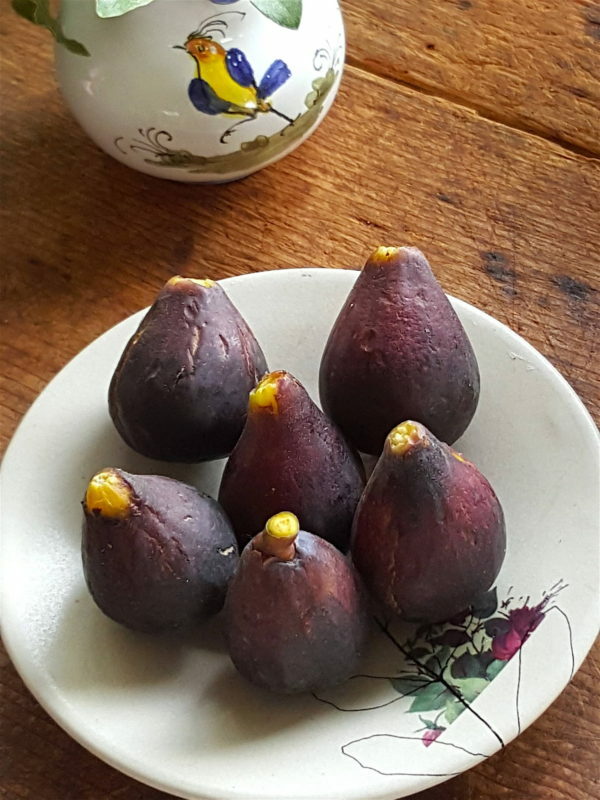 Halve figs. 4 Add cheese and figs to plates, scatter with pine nuts, rewhisk dressing and spoon over everything. Serve immediately. Oh-er, would you look at that. Prime lamb, quick to cook and quickly gobbled up.